Samitivej has a long and distinguished track record of providing exceptional neonatal care for infants and comprehensive support for families. 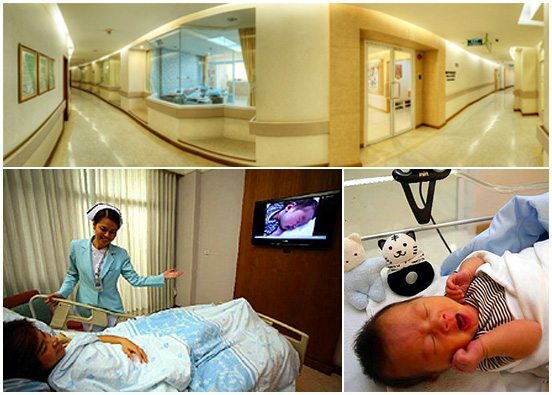 In 1998, the hospital was certified by the United Nations Children’s Fund (UNICEF), the World Health Organization (WHO), the Department of Health, and the Ministry of Public Health as a Mother & Baby Friendly Hospital. In 2009, we were granted The Gold Class Sai Yak Rak Hospital assessment. All of this is in addition to our prestigious JCI accreditation in recognition of both our world-class facilities and staff. More important than any award or public acknowledgement though is the satisfaction and health of the mothers and infants that visit us. Our Nursery & NICU is responsible for caring for newborn babies, premature babies and babies in critical condition. We understand how crucial those first few hours of life are for a newborn, and our experienced physicians, nurses and pediatricians are trained to ensure that our patients receive the support that they need during this period. With our personalized aid, state-of-the-art technology and intensive 24-hour care, premature infants with severe conditions such as Respiratory Distress Syndrome (R.D.S.) can grow into healthy, happy children. D.D.S, Ph.D Piamkamon Vacharotayangul, D.D.S.